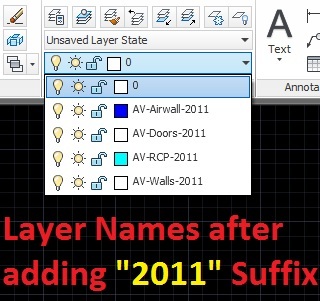 To go along with the previous post which adds a Prefix to layer names, this one allows you to add a suffix to layer names. 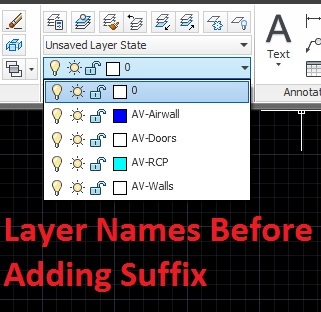 ;This routine will place a Suffix at the end of all Layer names and rename them. ;Of course, it will not rename Layer "0" or "Defpoints". This entry was posted in AutoLISP, Customization, Layers, Modifying, TIPS. Bookmark the permalink.